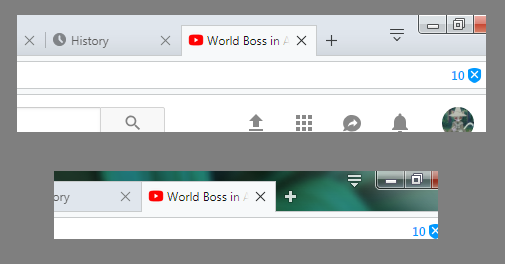 When I switch from the Aero theme to the Basic theme in Windows 7 and when I watch a video or just go in full screen in Opera and then I leave full screen there is an empty border between the tabs and the edge of the screen. I have also discovered that even if the theme is returned back to Aero, the bug is retained on the same window, only a new window opened after the Aero theme is enabled isn't affected. This happens while the windows is maximized at all times. I have discovered this issue back in November 2017 and have reported it numerous times, please fix it already.